Unlimited Water Processing also provides coffee products and coffee equipment solutions. 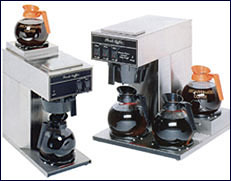 We have all the equipment necessary for you to have coffee service setup in your office. Unlimited Water provides maintenance of all equipment supplied.